Note: This review is intended for our international readers only. Full Tilt Poker does not accept Australian players and Australians cannot gamble online as of September 2017 due to the Interactive Gambling Amendment Bill 2016 coming into full legal effect. Full Tilt Poker is a comprehensive online poker website that allows players across the world to play poker games via desktop computer, laptop, smartphone, tablet or even a Smart TV. This innovate online poker room adapts an impressive user interface and layout, and with an ever-changing list of exciting promotions and bonus offers, Full Tilt Poker is a great place for players worldwide in countries where online gambling is legal to play a large selection of Internet poker variations for real money. Gain access to a list of top online poker games by downloading the gaming software which is 100% free and secure and will only take a few minutes to install. Once the software has downloaded, register a Full Tilt Poker account and take advantage of the welcome bonus detailed below. Real cash deposits can be made right away if you want to play for real money, otherwise you can enjoy free poker games at your own leisure. Poker fanatics can take their game on the go by downloading the Full Tilt Poker app. Currently only available on Android devices, the Full Tilt Poker app is fully optimised for mobile play so users enjoy all the high-definition graphics available within the desktop software. The app utilises all the same features, with real money betting and free games available. While the mobile software is also designed for iOS devices, iPhone and iPad owners at the moment cannot access the dedicated app due to certain restrictions within the App Store. New players registering an account at Full Tilt Poker are entitled to a 100% deposit bonus up to a value of $600. By registering to make real money bets and securely loading cash to your account, Full Tilt Poker will double however much money you lay down. To take advantage of this deposit bonus, log in within 60 days of depositing money to your account and opt in by heading to the ‘My Promotions’ menu and selecting ‘Opt in Now’. The list of online poker variations available at Full Tilt is as long as it is impressive. The site makes it easy for inexperienced players to get involved, with detailed beginners tutorials explaining the rules and instructions for each game, along with clear details of how to use the site and its software. There’s also the interesting addition of some lesser known poker variations, like Irish Poker, which gives even the most experienced poker player the chance to sharpen their skills and branch out to try something new. Try Rush Poker, too – Rush Poker cash/ring games and Rush Poker tournaments allow players to join a large group of players and minimise wait time between hands. As soon as you fold your hand, you’ll be taken to another table (of the same stakes) to play your next hand immediately. Face different opponents each time you start a new hand. One of the standout features at Full Tilt Poker is the huge selection of online poker tournaments. These popular games give players the chance to win serious real cash prizes, while enjoying the thrills and spills of tournament style gaming. There’s a range of buy-ins to suit high and low stake players, with huge variety of tournament formats available. Players can choose from Double and Triple Chance Tournaments, Matrix Tournaments, Knockout Bounty, Multi-Day Tournaments, Escalator Tournaments and more. An Advanced Search options allows players to search for tournaments with specific elements so you can find exactly what it is you’re looking for. Once checking the boxes of your preferences in the Advanced Search feature, a list of all tournaments containing your preferences will show, clearly listing the details of each game including the buy-in amount, amount of players and the current prize pool. Tournament play is a great way for players to immerse themselves in the excitement of competing for survival against other players around the world for real money. Along with the opportunity to win some serious real money wagers, Full Tilt Poker offers an impressive reward points program for loyal players; The Full Tilt Edge. The Edge program works in different status levels, increasing from Bronze, Silver, Gold, Platinum, Diamond, up to the highest status level, Black Card. The status reached is based on the amount of points you accumulate over time by playing poker at Full Tilt – the more points you earn, the quicker your status increases. The status levels aren’t just there to make you feel good; each level opens doors to new bonus opportunities and rewards, from cash prizes, to free tournament entries and even sponsorship opportunities. Check out the points requirements for the different status levels. Along with The Edge program, Full Tilt offers a huge list of ongoing and updated promotions including happy hours, early bird discounts, leaderboard bonuses, achievement badges and Sunday specials, all of which give the poker room an added dimension. Full descriptions of these payment methods are available on the Full Tilt Poker website if you’re keen to learn more about a particular payment option. Options for withdrawing winnings are limited to Visa, Local Bank Transfer, Neteller, Skrill and a few select countries can also receive payouts by cheque. 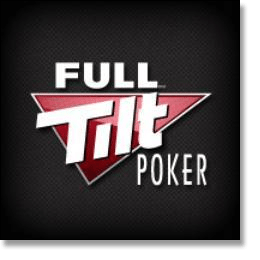 Full Tilt Poker maintains the most up to date security measures to ensure the protection of each and every player’s personal information and payment details, allowing users to play poker in peace in a safe, secure environment. This is an online casino/poker room that cares about its players, with detailed help and FAQs to assist with any queries you may have. Full Tilt Poker is fully committed to supporting Responsible Gambling practices and operates under the legal requirements of the Isle of Man Gambling Supervision Commission. pokerstars soon will withdraw from australia market due to online game regulation change by Australia government. no real money play will allow. does full tilt will be the same.